One seen coming down Main Street and entering the middle nest site of the Royal Cottage front low elevation. 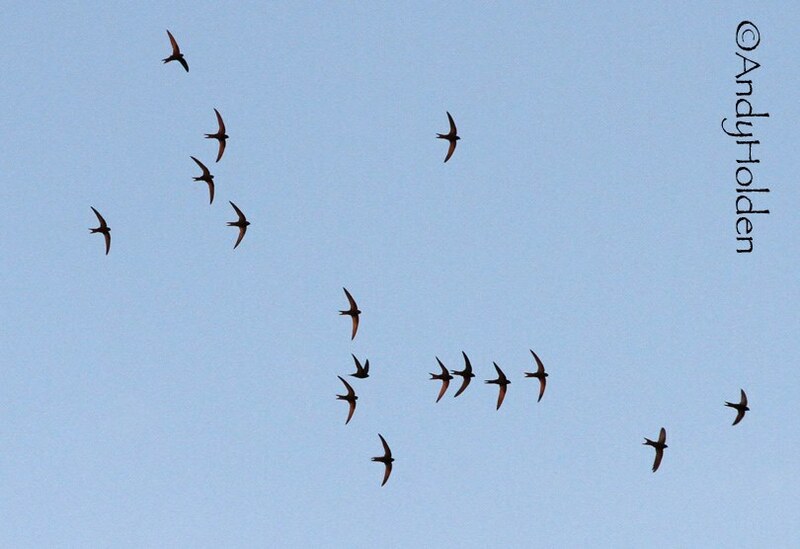 A later report from Angela Sumner confirms she saw ten Swifts in the skies around the 2030hrs. I only had one single swift seen tonight high in the skies above Neddy Hill and Main St.
Had 11 Swifts this evening flying overhead of the Royal areas. Had 13 Swifts this evening flying overhead of the Memorial Hall. Thursday 11th August 2016 - Main Street Burton In Kendal. Angela Sumner recorded 9 Swifts this evening overhead by the Royal Hotel. 8 Swifts overhead from Burton Memorial Hall down to Kings. 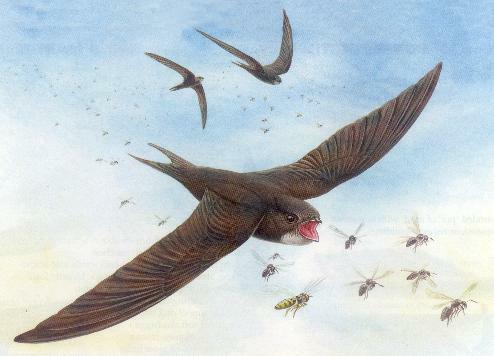 Several Swifts hawking the skies on Burton Fell (presumed our local Swifts) along with at least one hundred mixed hirundines (Swallows and House Martins) It was fantastic with them coming low and almost dive bombing you as you stood there watching in amazement. I don't think I have ever seen such a spectacle just like this before with such a large quantity of birds all around you. Just five Swifts counted towards back of Post Office and coming forward over Memorial Hall. We have not yet called a meeting for next week and decided we will monitor the situation on a day by day basis, so please keep coming back to check out the daily reports.